Drop and Go Childcare is now available to everyone currently enrolled in a class with us! 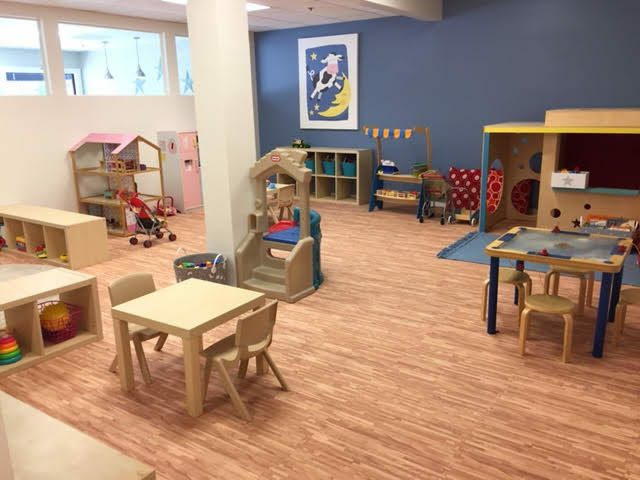 Join Ms. Kellie in the Playzone for up to 2 hours while you do errands, work in the cafe, or get some “me time” in! (We are unable to accommodate lunches and snacks so please schedule childcare accordingly with your little ones schedule.) Drop and Go for 1 hour: $15/one child, $25/two children per hour & $35/three children. This service will be available Monday-Thursday, 9:00 a.m. – 1:00 p.m.
Childcare for Siblings! Enjoy special one-on-one time taking a class with your child, while Ms Kellie ensures a fun-filled hour for your child’s sibling! One hour childcare for siblings: $12/one child, $20/ two children & $28/three children. Call the center to reserve your spot (we ask for 24 hours notice).